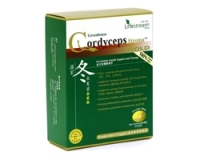 This formulation is made from natural Chinese herbs reinforced with Panax Ginseng. It harmonises the needs of losing weight with the maintenance of good health. Containing Hawthorn, Cassia Seed, Folium Sennae and Ginseng, this herbal tea regulates fat accumulation and appetite, while inducing a gentle laxative effect. Folium Sennae, Panax Ginseng, Cassia Seed, Hawthorn, Green Tea. Place 1 teabag in a 200 ml cup of hot water and steep for 3 to 5 minutes. Drink 1 to 2 times a day after meal. 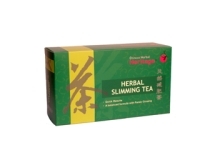 It is recommended to consume this tea for up to 3 months and together with a sensible diet plan. Chinese Herbal Heritage Slimming Tea is manufactured in Singapore according to stringent cGMP protocols and, is registered and approved by Health Sciences Authority, Singapore.